In my previous blog post about Living Things and its lead single “Burn It Down,” I discussed how the new album would supposedly be an ode to the albums that made Linkin Park famous (i.e., Hybrid Theory and Meteora), and how the single had a new musical element–electronica–that I haven’t heard from Linkin Park before. I was very hopeful and excited for the new album’s release (6/26/2012) and interested to hear if this electronic sound would be the theme of the album. After listening through the album’s 12 tracks, it’s clear the electronica element made a big stamp on the album, but the ode to the “nu metal” of Linkin Park’s heyday was a bit overstated. Read below for my song by song breakdown. 1. “Lost In The Echo” opens with some very cool electronic and bass sounds that get you primed for what you’re going to hear in the rest of the album. They work well with Chester Bennington’s smooth melodic chorus and Shinoda’s rapping. Bennington brings the intensity at the 2:16 mark in one of the album’s better tracks. Although I could do without the “interlude,” the electronic sounding intro is great, Chester’s vocals are spot on, and the drums standout as especially excellent. This is probably my favorite song on the album. 3. “Burn It Down” is of course the album’s lead single and really highlighted the direction this album would take. If you didn’t grow sick of it after hearing it a million times during the NBA postseason, I imagine you will enjoy it. It lacks the classic Linkin Park intensity, but still makes for a strong track and fitting single. 4. “Lies Greed Misery” – After a promising beginning to the album, Mike Shonoda takes over, handling the majority of the vocals in this (rap/hip-hop) song, and well… listening to it in order to review it made my headache come back. 5. 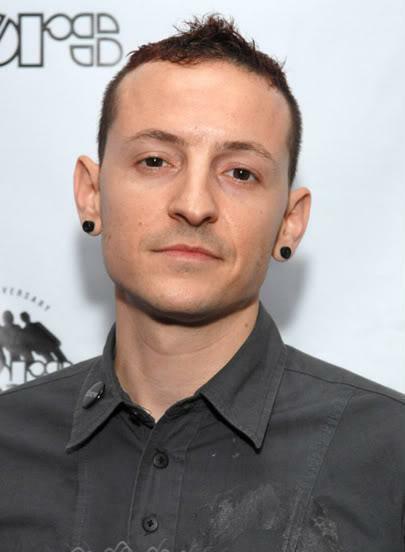 “I’ll Be Gone” gets the album back on the right track after “Lies Greed Misery.” Chester Bennington’s vocals carry the track as he combines smooth verses with a powerful chorus. 6. “Castle of Glass” is one of the album’s more mellow songs, but that doesn’t stop it from being an enjoyable tune. 7. “Victimized” – At only 1:51 seconds long, this track seems like one loud scream with some electronic sounds and rap lines mixed in. I like the creativity of a short intense song between two of the album’s softer songs, but execution is lacking. 8. “Roads Untraveled” is one of the album’s softer songs. It is made unique by a high-pitched bell sound leading the intro and then present throughout. 9. “Skin to Bone” – You really have to listen to this one to fully understand where I’m coming from when I say it is somewhat muddled with electronic sounds, thumping, and other headache-inducing sounds. I’ll take it over some of the bland, blah that was on Minutes To Midnight, but that doesn’t make it good. 10. “Until It Breaks” – Shinoda’s rapping in this song is excruciatingly unenjoyable. He takes the lead in this song in a big way, rapping through first two-thirds of the track. Chester then takes over singing very softly for the final minute and change. 11. “Tinfoil” is finally a move back to some real rock ‘n roll after a couple weak songs. The vocal delivery seems a little unfamiliar from Linkin Park, but not necessarily in a bad way. It’s a shade repetitive, but it is the best song on the second half of the album. 12. “Powerless” is a nice tune, but ironically, is somewhat…powerless. It could be epic in a live show, but the studio version doesn’t evoke a lot of emotion (at least from me). Nonetheless, as I said, it is a nice song and worth listening to. Before I started writing this review, I thought it would be scathing and end in a sub-five overall rating, but as I listened through each track over-and-over I found that there were quite a few decent, if not outright solid tracks. The problem is that the album lacks a great song. Even a so-so album will often have one or two great songs that influence your opinion of the entire album upward. I’ll admit, that much like my friend going into the movie Prometheus, my expectations were too high. I was hopeful for something as good or even better than Hybrid Theory/Meteora and that probably wasn’t fair. I’m tempted to say this is their best album since those early albums, however it doesn’t have a track as strong as “No More Sorrow” (Minutes to Midnight) or “Waiting For The End” (A Thousand Suns). I like “In My Remains” a lot, but I hesitate to call it great, and an album without a single great song isn’t that good. What is your favorite track on the track on the new album? Share your thoughts in the comments below. Ratings are subject to change. As always, please subscribe to this blog by clicking the “Follow” button at the top of the right sidebar. If you don’t have a WordPress account, you’ll have to enter your email address. You can share your opinions in the comment section below or by tweeting to @Ryan_Kantor. Thanks for reading! It isn’t that bad.This album deserves atleast a 7. Thanks for the comment. I can’t give it a seven. It’s the weakest album I’ve reviewed and the lowest score I’ve given thus far is a 6.5. I will give you this much though. I just got back from a run and listened to “In My Remains” again. It’s actually a very good song so I’m going to up it from a 7.5 to a solid 8. I think it’s the best song on the album and with that change the average song rating is about a 5.7. Since I have always rounded up, I’ll do so here to and give the album a six. This review has only been out for an hour or so, so I have no trepidation about the change. Thanks for commenting. Don’t let these commenters push you around, K-Pax. I’ll probably throw it on at some point but in all honesty I was done once Minutes to Midnight came out (although the single New Divide, released after that, is pretty good). I’m happy to see my album-review style has influenced you.